Visit the NHS Live Well website for articles, videos and tools from the NHS on more than 100 topics, including diet, weight loss, fitness, tiredness and alcohol, giving you and your family tips for a healthier lifestyle. The good news is that according to the NHS, a 5% reduction in body weight followed up by regular moderate intensity exercise could reduce your type 2 diabetes risk by more than 50%. Nadia Sawalha's recipe for a hearty and healthy soup which is literally a life saver for hungry girls - as seen in last year's Hungry Girls Little Black Dress Diet. At the age of 17 I was taken into hospital very unwell. I ended up being put onto steroids and rapidly started putting on weight. So much that a few weeks later when I went to leave hospital none of my clothes fitted. I managed to lose some weight in time for my wedding but soon after this I became pregnant and that along with a combination of medication started to pile the weight on again. I felt like I didn’t want to leave the house as I had put on so much weight. I also found taking my baby boy anywhere very hard. He cried all the time (turns out he has autism). So, what did I do? I hid away, and comfort ate. I became very depressed and unhappy and then fell pregnant again. By the time I had given birth to my second son I was nearly 22 stone and a size 24! I knew I had to do something. I tried all sorts of things and joined a weight loss group. While the weigh in was handy the diet was hard to follow and so restrictive. I finally went to the doctor and begged for help. I was sent on a course about nutrition and avoiding diabetes and in those meetings, I was introduced to Marianne's PLATE. I must admit I was apprehensive and didn’t think it was realistic but decided to give it a go and wasn’t disappointed. It taught me about portion control and I could still put he occasional naughty thing on my plate so long as it was portioned out in the correct way. The weight started to shift at a healthy rate, I felt amazing and it was really easy to follow. I knew I was getting plenty of salad and veg so this was peace of mind. As the weight started to drop I felt more confident, went out more, joined a skittles team and made lots of new friends. I no longer felt I had to hide away and didn’t feel depressed. I have used Marianne's PLATE along side healthy life choices and even started running. Next week I have my gym induction to help tone up and lose the last bit of weight. I am now 13st 11 just one stone off my healthy BMI. I am 5f11 and a small 16 on the bottom and 14 on top. A massive drop from size 24! Marianne's PLATE has really helped towards my weight loss journey and I recommend it to everyone. Without it I’m not sure what size I would be now and how depressed and shut away I would be. It has not only changed my life but my family’s too! I’m a better mum and because I am happier and able to join in with my family instead on my fat bum on the side lines. I cannot wait to shift the last bit of weight and I know I can with the help from Marianne's PLATE. I’ve been over to Coral Springs, FL working with Kevin Harrington on my upcoming DRTV Infomercial which will be airing in the US later this year. It’s been a great experience so far and can’t wait to see the final cut! 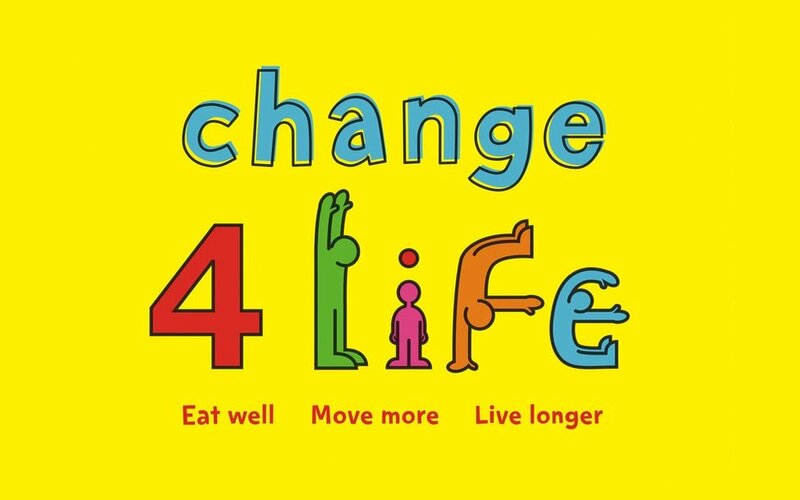 Change4Life is a public health programme which began in January 2009, run by the Department of Health. It is the country's first national social marketing campaign to tackle the causes of obesity. Change4Life aims to help families make small, sustainable yet significant improvements to their diet, activity levels and alcohol consumption. It uses the slogan "eat well, move more, live longer". Visit the Change4Life website and sign up free today for your loads of ideas, recipes and games to help your family get healthier and happier. For celebrity credentials, it doesn’t get much better. Marianne’s PLATE is featured in queen of the workout Davina McCall’s Body Buff DVD to show simply how people can achieve a healthy balance on their plate. Davina is joined by Meg Matthews and her business partner Hala El-Shafie who is an expert nutritionist and state registered dietician with over 10 years experience in the field to discuss how important portion control is to help you lose weight. Jessie showcased the new exciting colour design plate on Motivation Nation with Kate Garraway on ITV to help viewers realise what appropriate portion sizes are. Marianne’s PLATE also featured in the latest series of Fat: The Fight Of My Life on Sky Living HD with Jessie Pavelka. Read more from Jessie by clicking here.